Need a Reality Check? Take a Hike! It’s easy to fall into complacency in the material world that we humans have created, spending countless hours in front of our computers working, checking emails, or watching videos, or texting or scrolling on our mobile phones. But that’s not the real world. To me, the real world is the one that existed millions of years before we humans arrived. I’m talking about the natural world, the great outdoors. Get off you electronic devices and take a hike! March is the time of year when Mother Nature teases us into thinking that there is no more Winter weather in the forecast. Every sunny day reminds us that Spring is just around the corner. 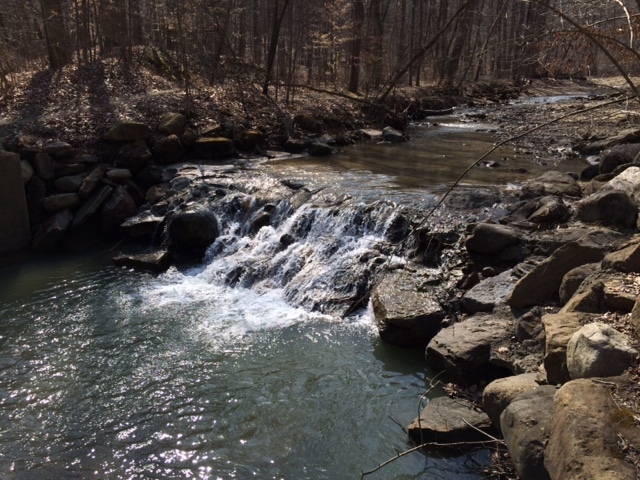 Yesterday, Mother Nature gave us a gift here in Northeast Ohio: a sunny, 70-degree day. That doesn’t happen very often in our northern state in March. What did I do? 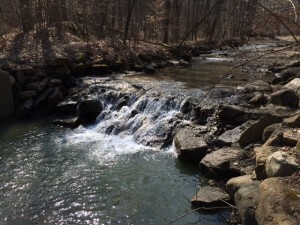 I got out and enjoyed a 3.5 mile hike in the Metroparks with its warm sunshine and fresh air. An article in the New York Times entitled How Walking in Nature Changes the Brain references a study by Gregory Bratman of Stanford University and his colleagues. Bratman has been researching the health of urban dwellers in recent years. His study reveals the health benefits of the brain by spending time in Nature. Here’s a challenge for you: For the next week, get out in Nature every day for a minimum of 20 minutes. Walk in your neighborhood (if it is relatively quiet) or a nearby park. Get on your bicycle. If you still have snow, cross country or downhill ski. At the end of the week, see how you feel. Compare how you felt before (tired, anxious, frustrated?) and after (relaxed, relieved, in a better mood?) exercise. Be mindful of the quality of sleep you’re getting. Do you fall asleep faster/easier? (I do when I am more physically active). What is your mental or emotional state when your head hits the pillow each night? Is your mind clearer? Are you ready for sleep? Do you wake up more refreshed? Consider how much more approachable and pleasant you will be with office co-workers when you completely change your environment each day. Would you like to add more balance to your life? Let me show you how. Simply remember the acronym B-A-L-A-N-C-E. In the next seven blog posts, I will share with you how to maintain a balanced life. This post begins with B is for Breathe. 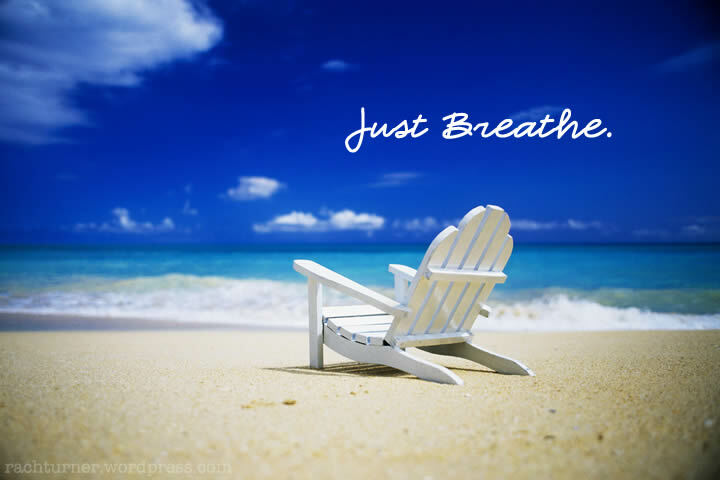 “Just breathe.” “Take a deep breath.” You have heard these words of wisdom before. While breathing is a normal function of the human body, you are mostly unaware that it’s happening since it is controlled by your autonomic nervous system. 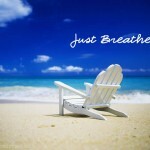 Breathing occurs, on average, from 12 to 20 times per minute. That’s a lot of breathing. The benefit of breathing is to bring oxygen (good) into your body as you inhale and remove carbon dioxide (bad) from your body as you exhale. Oxygen in. Carbon dioxide out. Yoga practitioners master diaphragmatic breathing because it brings healing oxygen to major organs and muscles. To learn more about yoga diaphragmatic breathing, read Dr. Roger Cole’s detailed article, Your Best Breath. If you want to try something very simple that takes just a few minutes, consider alternate nostril breath or Nadi Shodhana with this short instruction from the Chopra Center. The next time you feel stressed or out of control, tell yourself, “Just breathe.” Take a few minutes to practice diaphragmatic breathing. Slowly, gently breathe in vital oxygen and send its healing energy throughout your body. Exhale fully to release carbon dioxide. Add movement if you can. Take a short walk outside or simply walk down the hall, around the corner and back. You will clear your mind and feel refreshed.